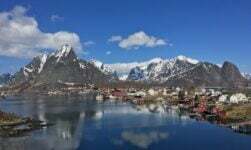 The biggest town on Lofoten is a great place to start your road trip. My first stop on the trip was Svolvær, the biggest city on the archipelago and de facto capital of Lofoten. From here, it's a 132km drive to the fishing village of Å along the E10, one of Norway's most spectacular National Tourist Routes. 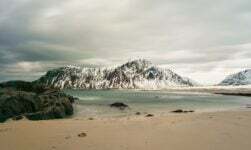 The first thing that struck me about Svolvær was its setting. Wherever I stood, whichever way I looked, the view was magnificent. 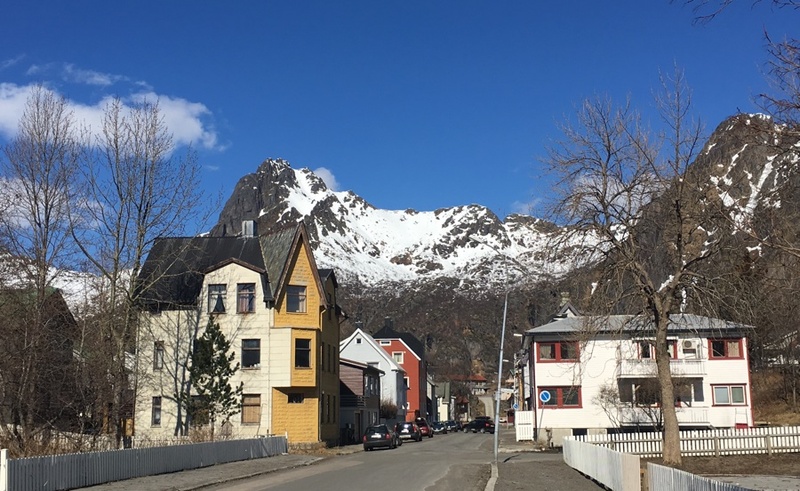 Svolvær is tiny even by Norwegian standards with a population of less than 5,000, but it’s a place that feels much bigger. As a regional centre, the town has a shopping mall, clothing stores, supermarkets, a cinema, and a range of hotels, high-class restaurants, and art galleries open for business throughout the year. Svolvær itself was first mentioned in historical records in the late 16th century. The name is likely derived from the Old Norse word ‘svair’, which means chill. Tourism is important, of course, but the local economy is much more diverse than you might expect. Cod fisheries, particularly during winter months when tourism is low, remain an essential economical foundation for the town. 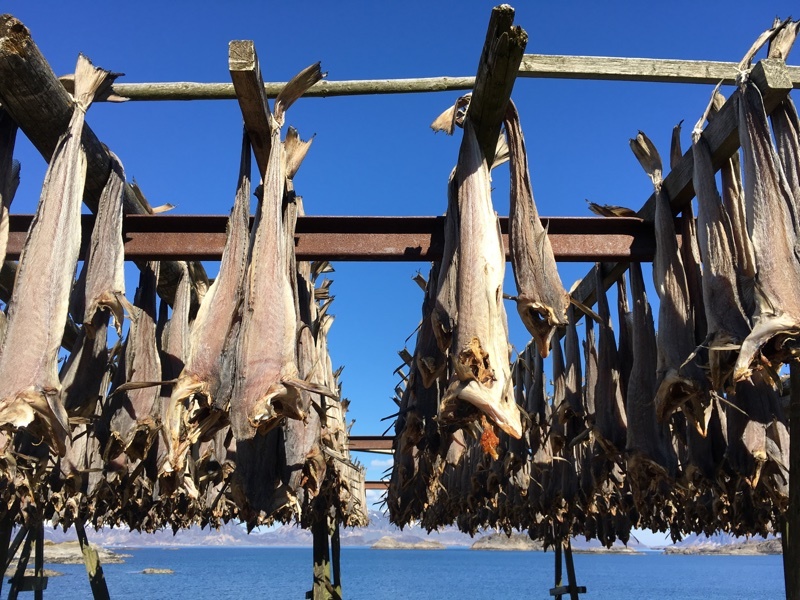 You can't go far in Lofoten without seeing cod hung up on racks to dry, and this is true even in the biggest town. Such is the importance of fishing to the town, the World Cod Fishing Championships are held in Svolvær every March. Over 600 participants from 8 countries regularly take part and thousands of onlookers gather on the Quay to greet the returning boats. Svolvær is the main starting point for tours to the Trollfjord, one of Norway’s lesser known yet most dramatic fjords. While the western fjords are known for their size, the Trollfjord is just 2km long and extremely narrow especially as its entrance. Large cruise ships almost touch the sides as they enter the fjord, and sometimes struggle to turn back around at the other end. On smaller craft, you can drink from the waterfalls if you sail close enough to the sheer mountain sides. 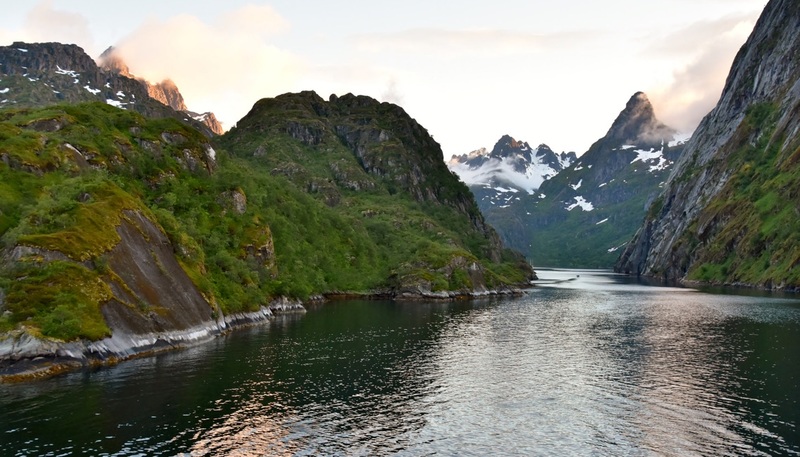 The fjord received national notoriety in 1890 as it was the site of a standoff between the industrial steam ships and traditional open-boat fishermen about access and fishing rights to the fjord. Today the area is known just as much for its local population of sea eagles as for the plentiful stocks of fish. Captains often use fish to lure the breathtaking birds close to the ship for a close-up view. Trips on comfortable boats or higher-speed experiences on inflatable RIB crafts give you ample opportunity to take in the scenery of Lofoten from a unique angle, spot sea eagles soaring overhead, and experience the intimate surroundings of the Trollfjord. Check in advance with the Tourist Information Office for the schedules and prices on specific days. The Lofoten War Museum (Lofoten Krigsminnemuseum) presents a seemingly random collection of items including a lamp from the battleship Tirpitz and the handbag of Adolf Hitler’s companion Eva Braun, but it all adds up to a fascinating window into wartime life. Not every artefact is described in English, but any question you have will be answered in astounding detail by the curator. 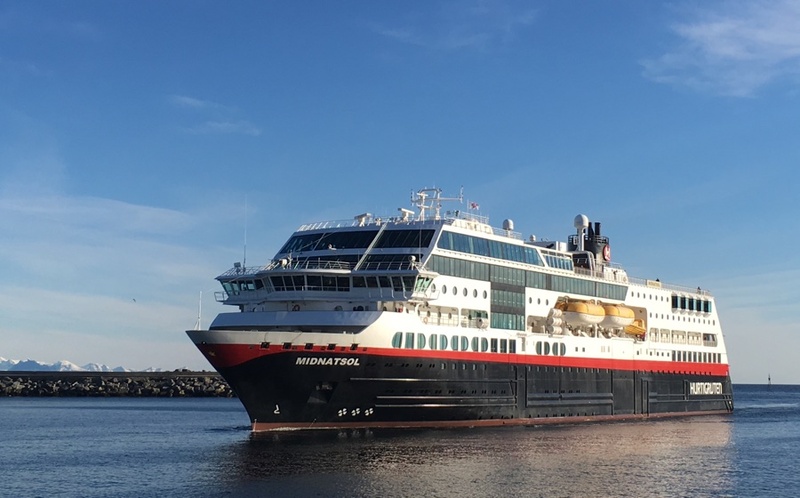 Opening hours typically coincide with the evening arrival of Hurtigruten ships. 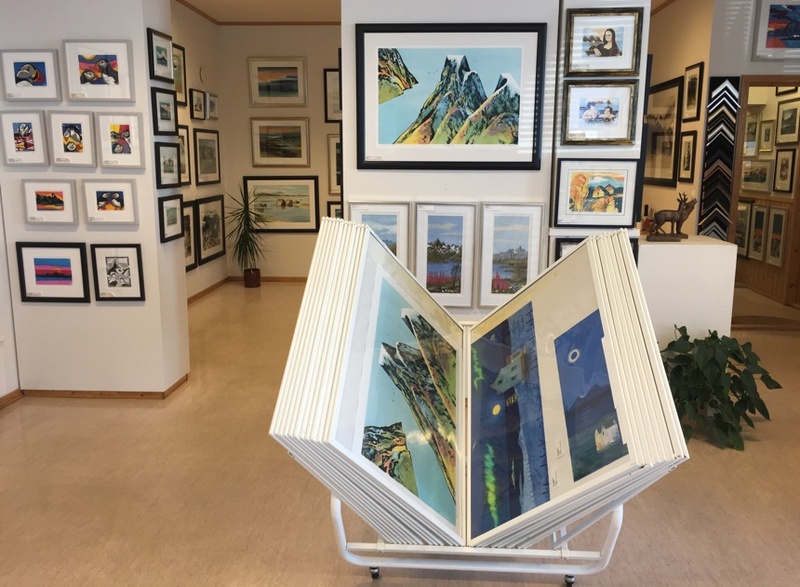 The North Norwegian Art Centre (Nordnorsk Kunstnersenter) is an artist-run institution that presents contemporary visual art to a wider audience.. An important part of the center is the shop, which sells a range of fine art supplies to the large number of artists who flock to Lofoten, or to curious tourists inspired by the landscapes. They also stock gifts and artwork designed for the home, and are happy to post purchases made to your home address. 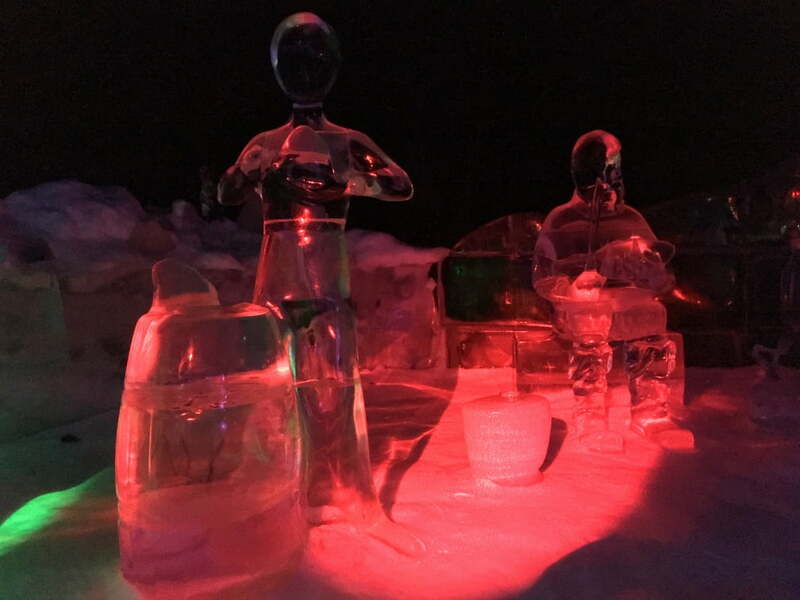 The Magic Ice bar is home to a dazzling range of ice sculptures. Once you pay the entry fee, you get a warm coat to wear before entering what is essentially a giant walk-in freezer. Sip a cocktail while admiring the remarkable artwork. Climbers will want to tackle the 150m (490ft) tall granite Svolværgeita, one of Norway’s most popular climbing routes, which stands proudly above the city. First climbed in 1910, the summit offers the unique opportunity to jump the 1.5-metre gap between the two “horns” at the summit. Many climbers have noted that when taking the jump, you can see the graveyard of Svolvær Church far below. The route is not technically difficult but it is very steep and a good level of physical fitness is required along with ropes and standard climbing equipment, so it’s best to go with a local guide. Run by the North Norwegian Art Centre in September every year, the month-long Lofoten International Art Festival brings artists from across the world to place their art in the context of Lofoten’s dramatic surroundings. What’s most notable about this festival is its constant quest to seek out new and interesting venues. Everywhere from a war bunker to a fish drying rack has been used to host exhibitions. Svolvær is an important transport hub for Lofoten. Hurtigruten makes northbound and southbound stops in the early evening, filling the streets with tourists for a few hours every day. 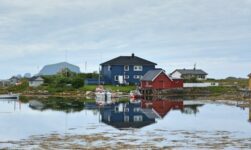 Some continue on by bus for a tour of Lofoten before rejoining the ship at the next port of call, while others begin their own exploration of the islands. There is also a fast ferry service from Bodø for passengers and cyclists. 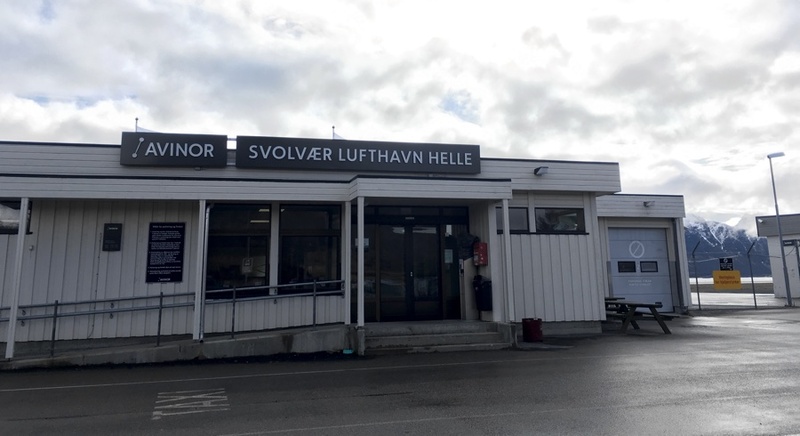 The town has its own airport although services are limited to local Widerøe flights to Bodø, Leknes, Stokmarknes and Tromsø. The closest airport with regular service to Oslo is Hafstad/Narvik Airport at Evenes, a 160km drive away. Buses link the town with the rest of Lofoten, Evenes Airport, plus the cities of Sortland, Harstad and Narvik. 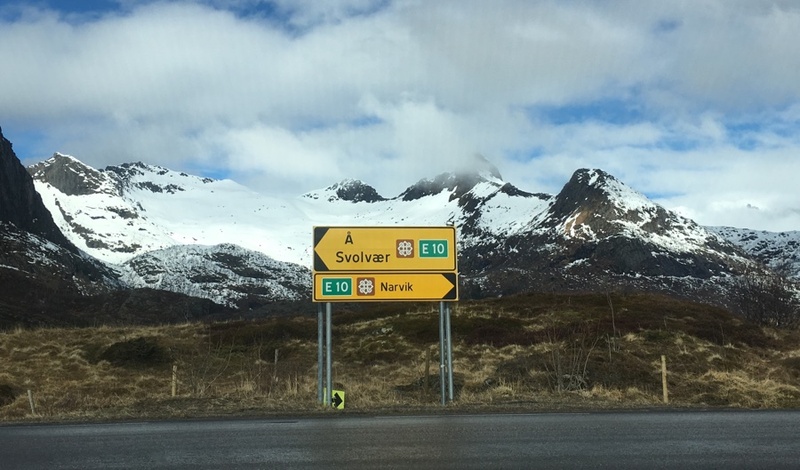 Despite its relatively remote location, Svolvær is pretty well connected. 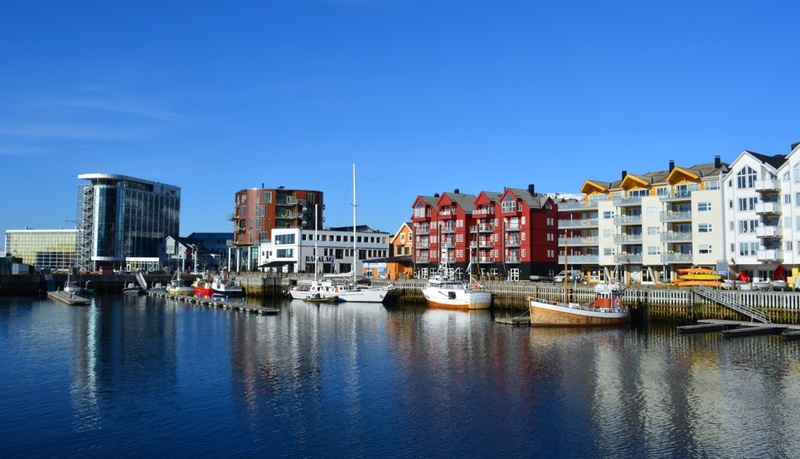 The reason many people live in Svolvær is its proximity to wonderful nature and recreational opportunities. The 132 km drive to the iconic villages of Reine and Å is perhaps the greatest road trip in all of Norway. 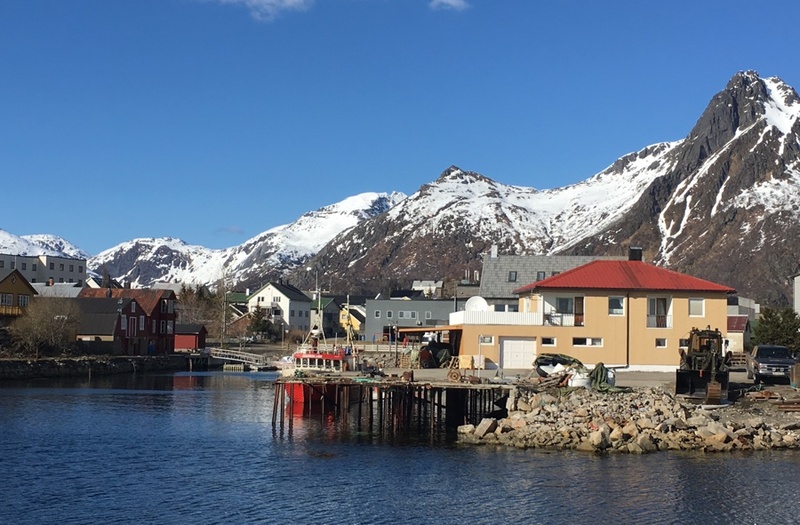 A few minutes away is the gorgeous village of Henningsvær, while other attractions such as the Lofotr Viking Museum, Hurtigruten Museum and even skiing resorts are all within a couple of hours drive. 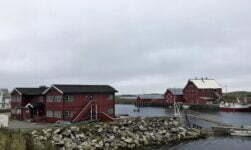 Even within the beautiful setting of Svolvær, few accommodation choices offer such spectacular views as the former fisherman’s lodges of Anker Brygge. The 27 cottages and suites are furnished to a high standard with wooden floors and exposed wooden beams throughout. Each cottage has a quayside terrace, a cozy lounge area and separate bedrooms, each with their own bathroom. Such indulgence doesn’t come cheap, though. Check rates and availability here. 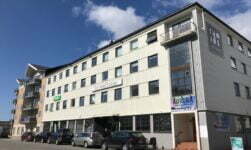 A good budget option is the Vestfjord Hotel, hidden away behind the Hurtigruten quay. Ask for a room on the upper floor to make the most of the views of ships entering the harbour or the city’s mountainous backdrop. The modern reception and lounge bar area is in stark contrast to the bedrooms, which are spacious but basic with a few tatty corners here and there. A simple breakfast buffet in the adjacent restaurant is included in the price. Check rates and availability here. Inspired to visit Svolvær? Why not share your plans on Pinterest? There's a pin for that! 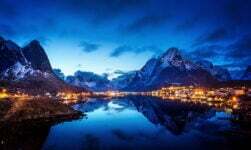 I and my friend are going by air to Svolvaer arrive in mid-day of mid September 2017. We plan to spend three days there and will hire a car .We plan to stay our first night in Rhein the second on the midway back to Svolvaer and the last night near the airport. Could you suggest us the place to hire the car and do we should change our plan of stay overnight in those areas. You’ll have to head much further north for a better chance, but I think there are direct flights available now from Bergen to Tromsø so that would make things a little easier. Have a great trip! Any recommended photo stop area in lofoten for non hikers? he needs a local Guide, where can he find one?